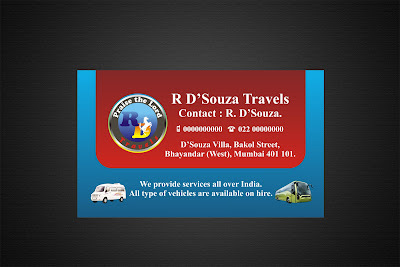 R D'Souza Travels by the name itself shows that its a Travel Company. The company deals in providing services locally and nationally, by renting out vehicles. 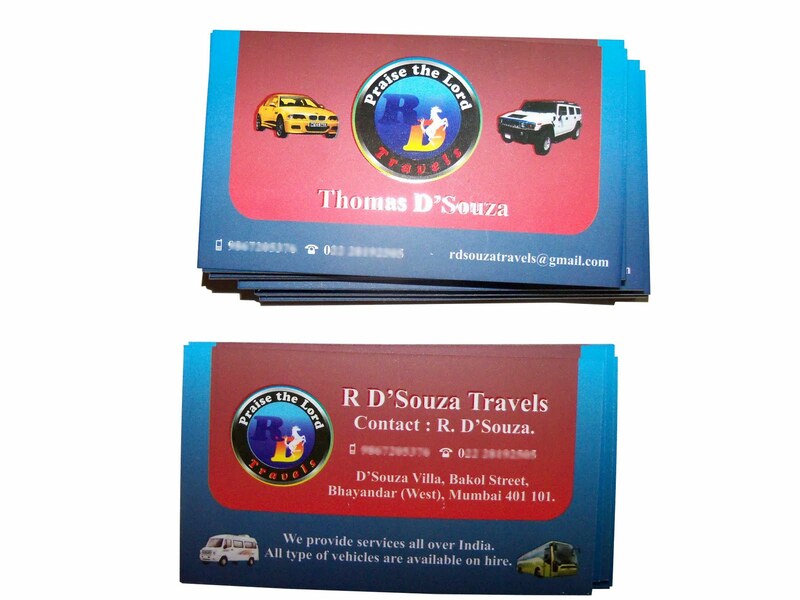 Vehicles like Volvo buses and different types of cars for hire. 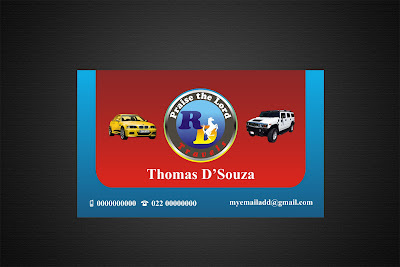 The proprietor's son had a unique taste for his logo, so he came to me with a request to design a logo for his company which will be placed on his transport buses, business cards and envelopes. 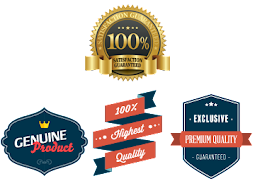 He also gave me an order for designing and printing envelopes for his company. 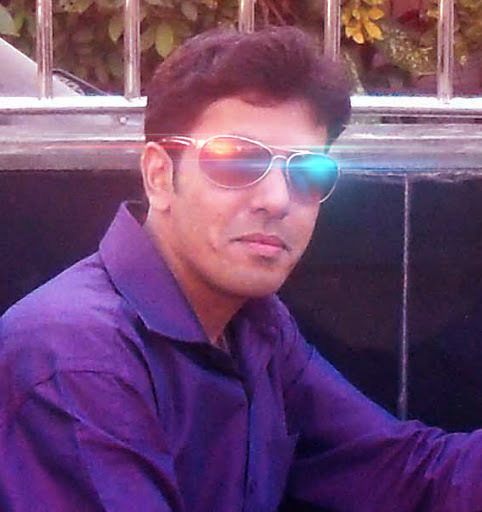 This is the front design of the card. The client requested me to display some of the vehicles his company rents out on the card. 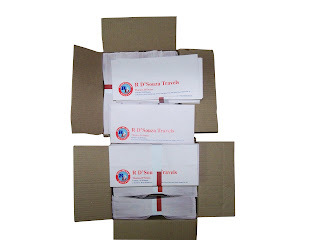 Here are the real envelopes after printing, please note this is not a mock for display its a real snap shot of the final product. 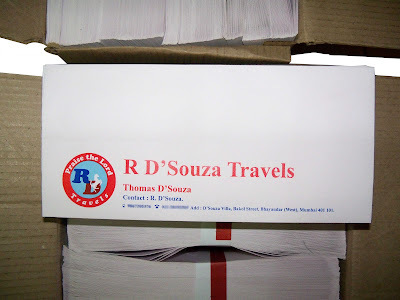 At display here are 1000qty envelopes as per his requirement.